This commentary was published in the peer-reviewed Journal of American Physicians and Surgeons Volume 20, Number 2, Pages 54-56, Summer 2015. It is a multi-billion dollar business. Pfizer’s Lipitor went on sale in 1997 and became the best-selling drug in the history of prescription pharmaceuticals before its patent expired in 2011. Sales surpassed $125 billion. AstraZeneca’s Crestor was the top-selling statin in 2013, generating $5.2 billion in revenue that year. Pfizer, in an advertisement, proclaims, “Lipitor reduces risk of heart attack by 36%,” based on the findings of a large randomized trial where 10,305 individuals were assigned to take Lipitor or a placebo (ASCOT-LLA). 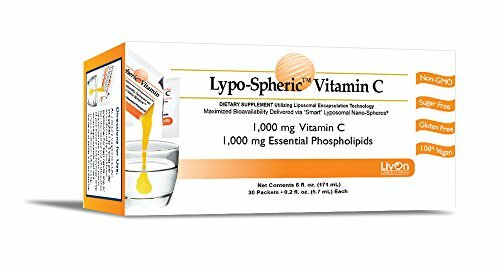 The Lypo-Spheric Vitamin C... Buy New $32.95 (as of 03:15 EDT - Details) trial showed that 1.9 percent of people taking Lipitor suffered a heart attack while 3.0 percent of the placebo group had one. Considered in terms of “relative risk” reduction, the percentage Pfizer cites in the ad is correct. (It is calculated by subtracting 1.9 from 3 and dividing the difference, 1.1, by 3, which equals 36 percent.) But more realistically, the trial showed that Lipitor only reduced the “absolute risk” of having a heart attack by a tiny 1.1 percent (1.9 percent in the statin group compared with 3 percent in the placebo group). Statin-trial investigators tout relative risk reduction (typically 20-40 percent in these trials) rather than the meager, real-world reduction in risk (1-2 percent taking statins). Investigators cite relative risk to inflate claims of statins’ effectiveness. However, they report deleterious effects in terms of absolute risk, minimizing their magnitude. For example, if 6 percent of the statin group were to get diabetes during a trial compared to 2 percent with the placebo group, they will say that taking statins increases the risk of acquiring diabetes by 4 percent, not that there is 66 percent increased (relative) risk of suffering this adverse event. Eukaryotic animal cells make cholesterol through the “mevalonate pathway.” This pathway also produces, among other things, coenzyme Q10 (CoQ10), heme-A, and dolichol. 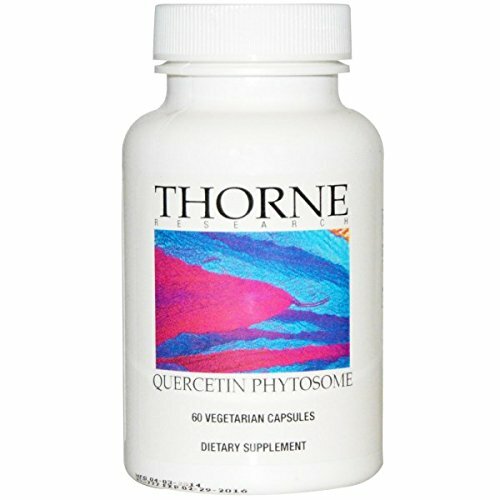 CoQ10 is particularly important as it functions both Thorne Research - Ulti... Buy New $46.49 (as of 03:50 EDT - Details) as an antioxidant and, with heme-A, in aerobic cellular respiration—in the electron transport chain that generates adenosine triphosphate, the fuel that powers all living things. (Dolichol is required for synthesis of glycoproteins.) Statins inactivate hydroxymethylglutaryl‐coenzyme A (HMG-CoA) reductase, the enzyme cells use to synthesize mevalonate from HMG-CoA. This shuts down the mevalonate pathway. As a result, HMG-CoA reductase inhibitors (statins) block not only the synthesis of cholesterol but also CoQ10 and the other physiologically essential biomolecules that this pathway produces. Statins can also cause diabetes, emotional disorders (depression, aggressiveness, suicidal ideation), hepatitis, cataracts, and strokes. [12,13,17] In January 2014 the FDA issued new safety information on statins, pointing out that “a small increased risk of raised blood sugar levels and the development of type 2 diabetes have been reported with the use of statins;” and it required drug companies add this information in the package insert with the drug. Since then (as of August 2014), attorneys have filed more than 1,000 lawsuits against Pfizer, representing 4,000 women who say that taking Lipitor gave them diabetes. If not cholesterol, what causes atherosclerosis? My colleague, the late Russell Ross, professor of pathology at the University of Washington discovered the cause: Atherosclerosis is an inflammatory disease. Initiated by endothelial dysfunction, with or without injury, and mediated by macrophages and T lymphocytes, the ensuing inflammatory response promotes proliferation and migration of smooth muscle cells. Russell demonstrated that atherosclerosis is a chronic inflammatory and fibroproliferative process that is fundamentally no different than that seen in cirrhosis, rheumatoid arthritis, and chronic pancreatitis. The small benefit statins offer in dealing with ASCVD comes from their non-lipid-lowering anti-inflammatory effects, especially with their ability to suppress nuclear factor-kappa B (NF-kB), a transcription factor concerned with intensifying the inflammatory response. But even if they had no harmful side effects, the “number needed to treat” (NNT) for statins weighs against their use. If a statin reduces the (absolute) risk of having a heart attack by just 2 percent, its NNT is 50. For every 50 people taking a statin, 1 person will benefit while 49 other people (98 percent) will not gain any benefit from taking the drug and will expose themselves to the potentially serious broad spectrum of adverse events that statins cause (carrying a risk considerably greater than 2 percent). Statins do more harm than good. (Nutraceuticals curcumin and resveratrol also quell inflammation, like statins, by suppressing NF-kB—with no side effects). A catalog of factors that play a causal role in inflammatory ASCVD would include: 1) eating trans fats and too many carbohydrates and omega-6 vegetable oils (and not enough saturated fats); 2) deficiencies in various vitamins (vitamins A, C, D, E, K2, B6, B9-folic acid, and B12); 3) mineral deficiencies (magnesium, selenium, copper) and excess (iron); 4) lipid oxidation products; 5) possibly bacterial infection (Chlamydia pneumoniae); 6) diabetes; 7) abdominal obesity; 8) hypertension; 9) smoking; and 10) stress. It is becoming increasingly clear that the cholesterol-heart hypothesis is a fallacy of modern medicine. In the future medical historians may liken the prescribing of statins to lower blood cholesterol with the old medical practice of bloodletting. Taking that vital substance out of the body is comparable to today’s practice of blocking production of cholesterol, an equally vital component, with drugs. Stone NJ, Robinson JG, Lichtenstein AH, et al. 2013 ACC/AHA guideline on the treatment of blood cholesterol to reduce atherosclerotic cardiovascular risk in adults: a report of the American College of Cardiology/American Heart Association Task force on Practice Guidelines. J Am Coll Cardiol 2014;63:2889-2934. Kohli P, Whelton SP, Hsu S, et al. Clinician’s guide to the updated ABCs of cardiovascular disease prevention. J Am Heart Assoc 2014;3:e001098 Available at: http://jaha.ahajournals.org/content/3/5/e001098.full Accessed March 17, 2015. Newsom, LD. Primary prevention of atherosclerotic cardiovascular disease:Controversies and clinical considerations. Ann Pharmacother 2015;49(April): 484-493. Pencina MJ, Navar-Boggan AM, D’Agostino RB, et al. Application of new cholesterol guidelines to a population-based sample. N Engl J Med 2014;370:1422-1431. Centers for Disease Control and Prevention. Health United States, 2013: With special feature on prescription drugs. Available at: http://www.cdc.gov/nchs/data/hus/hus13.pdf Accessed March 20, 2015. Miedema AMD, Lopez FL, Blaha MJ. Eligibility for statin therapy according to new cholesterol guidelines and prevalent use of medication to lower lipid levels in an older US cohort: The atherosclerosis risk in communities study cohort. JAMA Intern Med 2015;175(1):138-140. 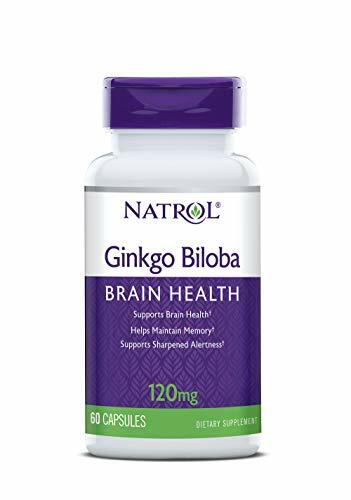 Natrol Ginkgo Biloba 1... Check Amazon for Pricing. Sever PS, Dahlof B, Poulter NR, et al. Prevention of coronary and stroke events with atorvastatin in hypertensive patients who have average or lower-than-average cholesterol concentrations, in the Anglo-Scandinavian Cardiac Outcomes Trial-Lipid Lowering Arm (ASCOT-LLA): a multicenter randomized controlled trial. Lancet 2003;361:1149-1158. Diamond DM, Ravnskov U. How statistical deception created the appearance that statins are safe and effective in primary and secondary prevention of cardiovascular disease. Expert Rev Clin Pharmacol 2015;8(2):189-199. Rosch P. Quote in: Cholesterol skeptics and the bad news about statins. Center for Medical Consumers, Cholesterol Skeptics: Conference Report. Available at: http://medicalconsumers.org/2003/06/01/cholesterol-skeptics-conference-report/ Accessed March 21, 2015. Mauch DH, Nagler K, Schumacher S. CNS synaptogenesis promoted by glia-derived cholesterol. Science 2001:294(5545):1354-1457. Graveline D. Adverse Effects of statin drugs: a physician patient’s perspective. J Am Phys Surg 2015;20:7-11. Golomb BA, Evans MA. Statin adverse effects: a review of the literature and evidence for a mitochondrial mechanism. Am J Cardiovasc Drugs 2008;8(63):373-418. Golomb BA, Evans MA, Dimsdale JE, et al. Effects of statins on energy and fatigue with exertion: results from a randomized controlled trial. Arch Intern Med 2012;172:1180-1182. Ravnskov U, Rosch PJ, McCully KS. The statin-low cholesterol-cancer conundrum. QJM 2012;105:383-388. Culver AL, Ockene IS, Balasubramanian R, et al. Statin use and risk of diabetes mellitus in postmenopausal women in women’s health initiative. Arch Intern Med 2012;172(2):144-152. FDA expands advice on statin risk. FDA Consumer Health Information/U.S. Food and Drug Administration. January 2014. Available at: http://www.fda.gov/downloads/ForConsumers/ConsumerUpdates/UCM293705.pdf Accessed March 22, 2015. Ridker PM, Danielson E, Fonseca FA, et al. Rosuvastatin to prevent vascular events in men and women with elevated C-reactive protein. N Engl J Med 2008;359:2195-2207. Garret HE, Horning EC, Creech RG, DeBakey M. Serum cholesterol values in patients treated surgically for atherosclerosis. JAMA 1964;189:655-659. Iso H, Jacobs Jr DR, Wentworth D, et al. Serum cholesterol level and six-year mortality from stroke in 350,977 men screened for the multiple risk factor intervention trial. N Engl J Med 1989;320:904-910. Ravnskov U. The Cholesterol Myths: Exposing the Fallacy that Saturated Fat and Cholesterol Cause Heart Disease. Washington, D.C.: New Trends Publishing; 2000. Taubes G. Good Calories, Bad Calories: Fats, Carbs, and the Controversial Sciance of Diet and Health. New York: Anchor Books; 2008. Evans D. Cholesterol and Saturated Fats Prevent Heart Disease: Evidence from 101 Scientific Studies. Guilford, Surrey, UK; Grosvenor House Publishing: 2012. Ross R. Atherosclerosis—an inflammatory disease N Engl J Med 1999; 340:115-126. Hölschermann H, Schuster D, Parviz B, et al. Statins prevent NF-kB transactivation independently of the IKK-pathway in human endothelial cells. Atherosclerosis 2006;185:240-245. Evans D. Low Cholesterol Leads to an Early Death: Evidence from 101 Scientific Papers. Guilford, Surrey, UK; Grosvenor House Publishing: 2012. Schatz IJ, Masaki K, Yano K, et al. Cholesterol and all-cause mortality in elderly people from the Honolulu Heart Program: a cohort study. Lancet 2001;358(9279):351-355. Tuikkala P, Hartikainen S, Korhonen MF, et al. Serum total cholesterol levels and all-cause mortality in a home-dwelling elderly population: a six-year follow-up. Scand J Prim Health Care 2010;28(2):121-127.